This is my third time moving into Avila Apartments in Rancho Santa Margarita, Why? because there is no better place than this, it has everything I need and like. The leasing office staff are very professional and kind and attend any issues or complains quick. There is not parking problems, it is plenty of spaces. I don't have a nice view but I love the tranquility and quiet building where I am, even the weekends are relaxing here, Having a workout room is very convenient, the two swimming pools are very clean and just few steps of my building. The landscaping is really nice, The only thing I would like they give more attention are the stairs, sometimes there is trash and you can see it for few days, nothing exaggerated, but it will look better if they keep more clean. I've lived her for over 6 years. Its a quiet community with friendly neighbors. The staff, leasing offica and maintenance, are all very friendly and helpful. We love it here. So far we are very happy! A few little things could have been improved upon as we discovered a damaged door and sap on our cabinets at move in, however Alyssa did a wonderful job in pre move in communication and is working to rectify the issue with the closet door. Jack F., we're happy you found our staff to be supportive during your experience here at Avila at Rancho Santa Margarita. Your recommendation means so much to us and we're so happy to have earned it. Thank you again for taking the time to let the world know about your positive experience. Have a great day! Noise level is great, amenities are great, maintenance calls can be difficult and dicey to see through, but when they do come things are fixed in a timely manner. Thank you again for taking the time to let us know how we did. If you ever need anything else from us, please feel free to give us a call or stop by. Have an awesome day! I love my apartment and my community. If there was only one thing I wish could be improved it would be the traffic noise from Antonio Parkway. Hello Matthew T. Your feedback and rating mean a lot to us. We sincerely thank you for the positive review. If there is anything we can do for you, please let us know. Thanks! Karlene V., thank you for your kind review; we are happy to pass along your comments to the team here at Avila at Rancho Santa Margarita! Please don't hesitate to reach out if there's anything additional we can do for you. Thanks!! Hi Felipe De Jesus Bernardo M., thank you so much for your positive comments about Avila at Rancho Santa Margarita! We're glad to hear we delivered such a great experience. If there's anything further we can do for you, we are happy to help! The office staff is wonderful, nice clean property and great amenities. The pools are clean. My neighbors are awesome. We all get along great. Hi Toni C., thank you for taking the time to leave a review for us at Avila at Rancho Santa Margarita. We're happy we could meet your expectations! If you ever need anything else from us, please feel free to give us a call or stop by. Have an awesome day! Parking needs to be monitored/ enforced. Staff needs to be more responsive when voice mails are left. Better communication with residents when maintenance issues arrive, clean up after themselves. Deborah C., thank you for taking the time to leave us feedback about your experience with us. It is discouraging to learn of your experience with us. Your feedback helps us improve and we would like to learn more about how we can make this better. Feel free to give us a call at 949-713-3100. Thanks! So far my experience with Avila apartments has been amazing. The stag is so friendly and helpful. The apartments are beautiful and fully updated. The common areas are well kept,clean, and resort like. 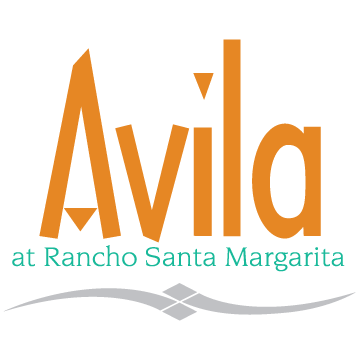 Hi Delanie M., thank you so much for your positive comments about Avila at Rancho Santa Margarita! If you ever need anything else from us, please feel free to give us a call or stop by. Have an awesome day! Thank you! Avila is amazing! We absolutely love living here. The apartments are all redone and kept in great shape. Everyone in the office is very helpful. Kristen B., thank you for your kind words and this wonderful review! Please don't hesitate to reach out if there's anything additional we can do for you. Thank you!! Great Apt homes and easy access to toll roads, restaurants and grocery stores. Clean and nicely refurbished Apt homes The Apt ofc leasing staff is always helpful and courteous. I love the property and the location. Some area could use cleaning (sidewalks in complex are dirty) everyone is very friendly and helpful and respond quickly . Avila is great! Nice upgraded units, wood floor lamimate and upgraded counter tops. Spacious units. Full size washer and dryer. New appliances! Apartment is very nice and quiet. There were a few issues upon move-in that weren’t addressed in a timely manner from Maintenance, but now everything is fine. The sidewalks are very old and dirty looking, but overall, the complex is clean. the complex is nice, great location and the leasing office staff nice. I've been in the community 10 years and before we werent able to move apartments prior to lease end which never made sense to me we missed out on upgrade opportunities because of that. Seems that has now changed. tenants should be able tp upgrade apartments at any time most other complexes do that. upgrades to complex in past few years are nice. Rent is a but high compared to neighboring areas. Apartment has nice amenities. Parking can be a problem. Maintenance is very efficient. Leasing office personal change frequently so sometimes it's hard to find a knowledgeable person. The property is clean, well-maintained and I can walk my dog after dark and feel safe. The amenities are lovely and well-kept and the staff are all super friendly and helpful! Even when there have been mainenance issues, the team is quick to deal with the problem and it is usually fixed before I get home from work the next day. Thank you for a great experience! I’ve had to wait a over a week for a maintenance request when our bathtub was clogged. When they say it usually 24 -48 hours. But other than that this place is great! Community is awesome. So far so good no loud noises. I found parking every night. The Community is really clean and green. The neighbors by me are real friendly specially when we moved in. Started off a little rough but the management and staff are getting better. They still need to get there numbers right and the staff needs to know there stuff. Hi there, I would like to get some more details about your experience with us. We are always more than happy to assist you if anything else comes up. Thank you so much for your feedback! We hope you have a great day! Great experience, friendly staff, awesome amenities. Would recommend to family or friends. Apartment complex has a great location that was close to everything. Hi Alejandro C., we are very happy to have provided you with such a positive experience! If you ever need anything else from us, please feel free to give us a call or stop by. Have an awesome day!